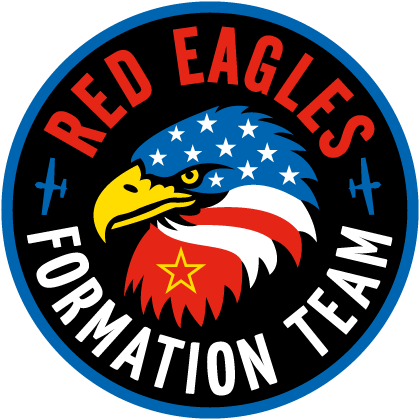 Ne14 Design was commissioned to design a uniform badge logo for an American formation flying display team. The 4-plane team fly Russian Yak's at air shows across America and the logo needed to be suitable for embroidered patches and to be used for stickers, posters and a website. The design features an eagle's head with the stars and stripes of the US flag but also a Russian yellow star on a red background to represent flying Russian Yak aircraft.